As we shift away from fossil fuels, many utilities have focused on building the biggest and most powerful wind turbines possible to meet growing energy needs. Architect Renzo Piano has taken a different approach, however, focusing his efforts on a compact, yet super-efficient wind turbine that anyone can erect in their backyard. Called the “Dragonfly Invisible Wind Turbine” the two-blade design mimics the delicate dragonfly’s ability to float on the slightest of breezes. Based on the physics of dragonfly flight, Piano’s mini-turbine can harvest energy from winds that blow as slow as four miles an hour. 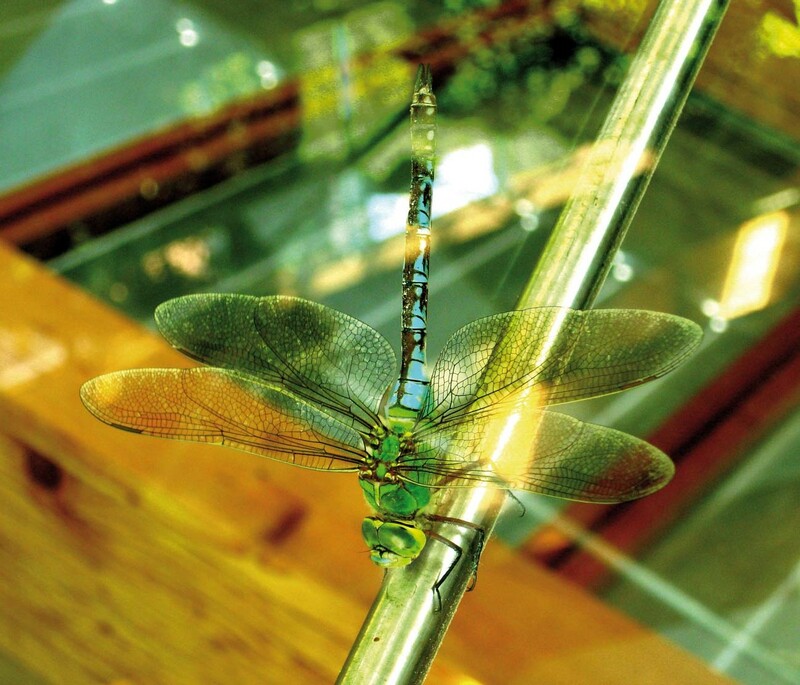 The dragonfly-inspired turbine is currently undergoing testing by the international renewable energy corporation ENEL Green Power. Wondering why they are interested in a tiny wind turbine rather than a massive one? Because big turbines can’t live in your backyard. Most residential turbine designs are big, loud, and often have an adverse affect on property values. Commercial-size turbines produce a lot of power, but you can’t put them just anywhere, and they can have a deleterious impact on birds and other wildlife. Piano’s compact turbine design addresses nearly all of these problems without sacrificing efficiency. 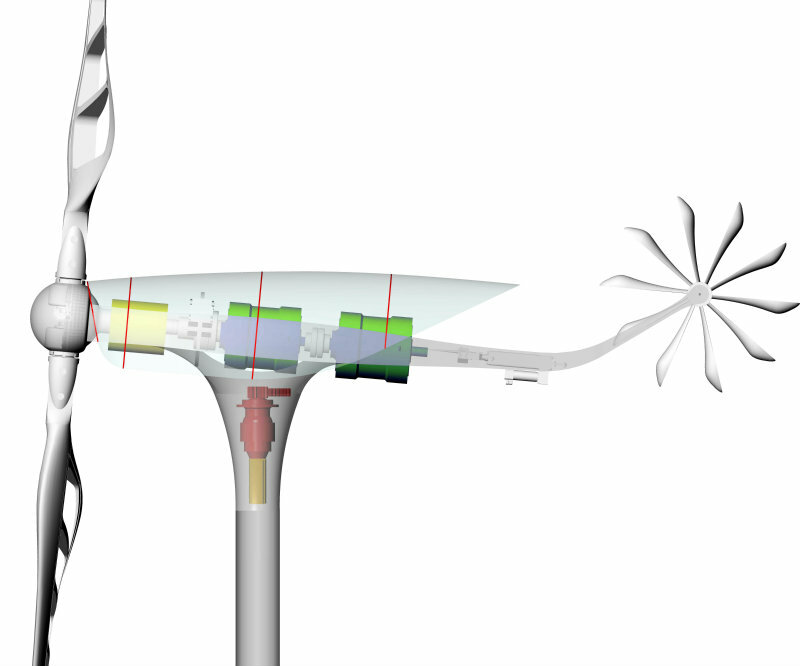 The Dragonfly wind turbine offers a capacity of 55 kW, with continuous output of electrical energy due to its ability to exploit winds as light as two meters per second (around 4.4 mph). 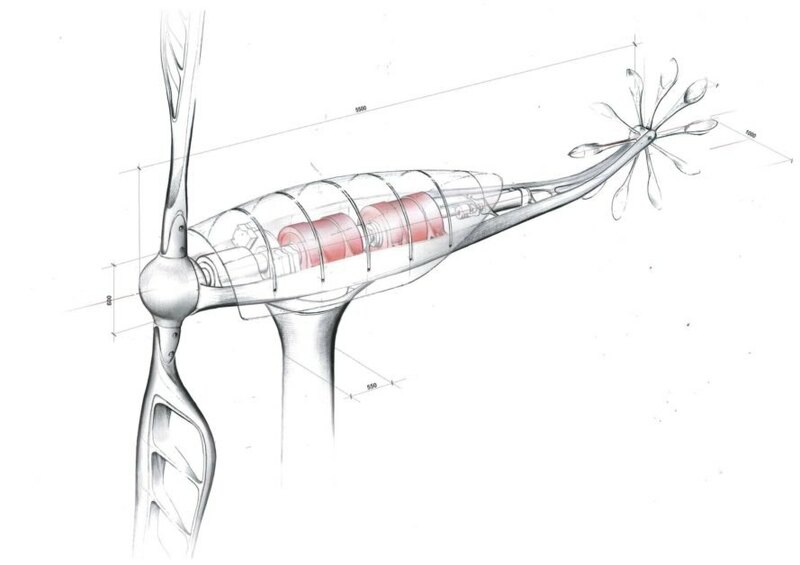 “The technique lies in the slim-line design of the turbines, which is developed to mimic the form of a dragonfly in flight and how it can glide through gale-force winds,” states PSFK. Not much energy in the wind at 2 m/sec. As we shift away from fossil fuels, many utilities have focused on building the biggest and most powerful wind turbines possible to meet growing energy needs. Architect Renzo Piano has taken a different approach, however, focusing his efforts on a compact, yet super-efficient wind turbine that anyone can erect in their backyard. Called the "Dragonfly Invisible Wind Turbine" the two-blade design mimics the delicate dragonfly's ability to float on the slightest of breezes. Based on the physics of dragonfly flight, Piano's mini-turbine can harvest energy from winds that blow as slow as four miles an hour.